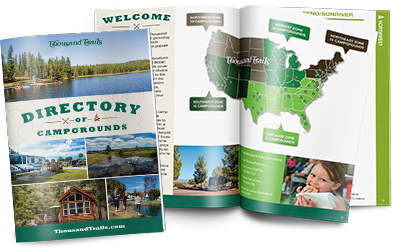 Have a question about Thousand Trails campgrounds or memberships? Please call (800) 205-0606 or fill out the form below. If you are already a TT member, please call member services at (800) 388-7788 or login to contact member services online. Members of the media wishing to learn more about Thousand Trails (Encore) or any of our properties, please contact Media_Inquiries@equitylifestyle.com.